Xela AID's first volunteer trip of the year is right around the corner and we want YOU to join us. Come teach English, build, do art projects with children, work with our medical team or undertake another project that takes advantage of your skills. A single volunteer week could change a life forever — including your own. Signing up today takes just a few clicks! Open to the public and welcoming William Jewell College (WJC) students and faculty. Leaders Patrick and Lori Bunton. Contact. If you have an interest in science and technology, healthcare and nursing, or if this trip is scheduled at the right time for you, then join us! The current central themes are Solar Power, Light and Optics, and Women’s Studies and Nursing. But no matter what your passion, there is a place for you to serve. Four Ph.D. Faculty will be on this trip including two Physics faculty, an Astronomer, and a Philosopher (Women’s Studies). Lori Bunton, a Community Health Nurse, will also be leading the trip to work on projects in the Xela AID clinic. “We can work with you to prepare an educational enrichment experience for the youth that is based on your background and interests. Or join with us on one of the topics we are already planning. It will be an exciting week that you don't want to miss,” said Patrick Bunton, trip leader and professor at WJC. Volunteers will have the opportunity to work with professors and students from the prestigious WJC to learn electronics, solar power, and optics to complete projects that benefit the San Martín community. Caption: Daniela Marin, WJC student, constructing a solar-rechargeable lantern with a local Mayan student. Leaders Sue Rikalo and Dr. Steve Kent. Contact. Join Xela AID on its first foray into a week-long Spanish course. Get a week of intensive, one-on-one Spanish training in exciting Antigua, the historic capital of Guatemala, and stay at a comfortable old Spanish-style villa. Then, practice your Spanish during a week of service, sharing your skills in the scenic highlands village of San Martín Chiquíto near Quetzaltenango. “Dr. Steve and I designed a trip that balances lots of time exploring the beautiful UNESCO World Heritage city of Antigua with meaningful projects in the village of San Martin Chiquito. We would love you to join us and will do our best to make this one of the most meaningful experiences of your life!” said Sue Rikalo, trip leader. During down time in Antigua, enjoy a variety of planned activities including a Guatemalan cooking class, a photography walking tour, zip lining or visiting neighboring cities. 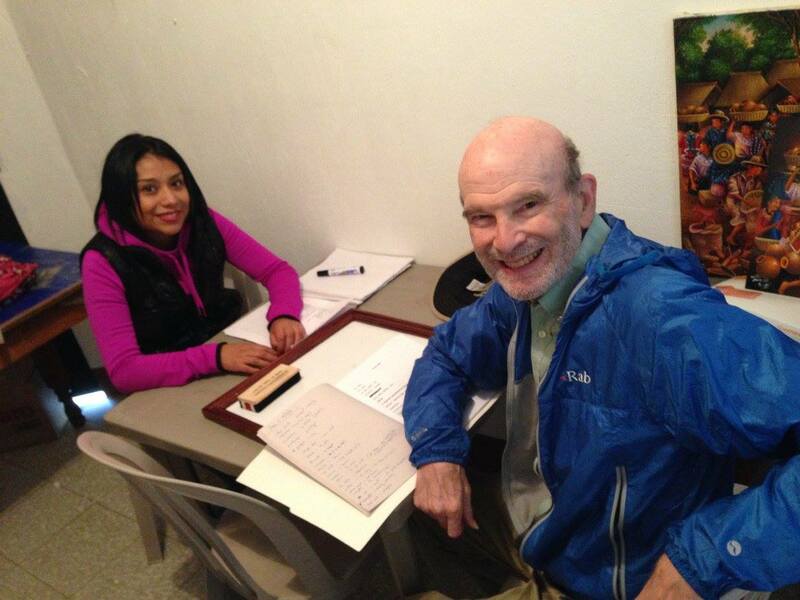 Caption: Volunteer Bill Matthews during a Spanish lesson with his teacher Gabi. Leaders Mel Dinkel and Leslie Baer Dinkel. 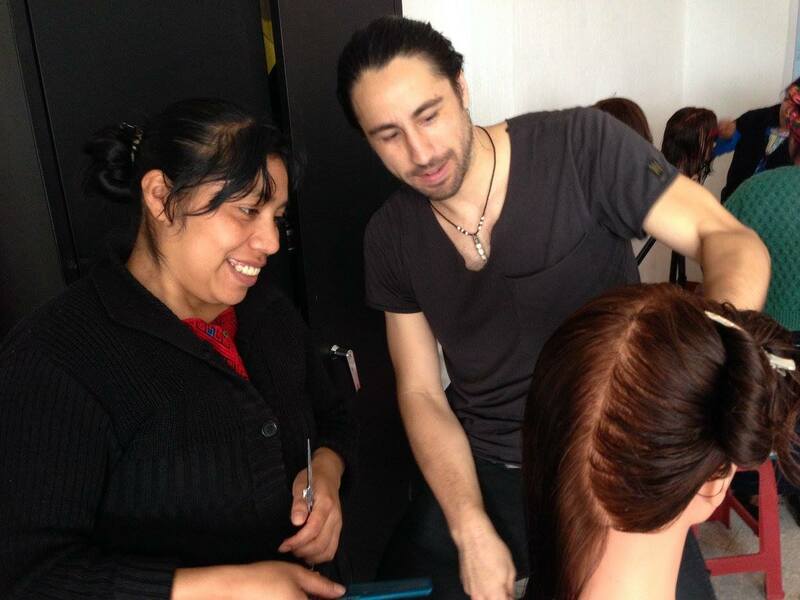 Caption: Volunteer Nick Pappas leading a hair-cutting service project. 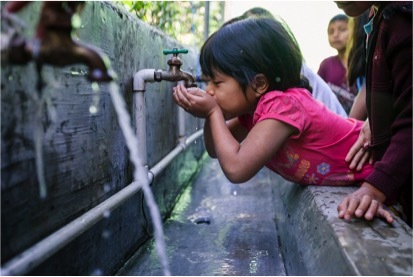 Fall 2018: Contribute to the “San Martín Thrive WASH Initiative,” an Avalon Rotary-sponsored program to bring clean water and improved sanitation and hygiene to impact Mayan villages in the Highlands of Guatemala. Trips fill fast, so if you wish to join us, please reserve your space early! We look forward to sharing an adventure with you that will not only enrich your life, but will have tremendous positive impact on those we serve. Open to public, OLLI members and with credit available from CSUF. Get to know members of San Martín’s Mayan community on a personal level and use your skills to make a positive difference! Volunteers will be matched with young adults in the San Martín through our “Buddy Program” and will experience Guatemalan culture through their eyes. “This was such a rich and rewarding experience! 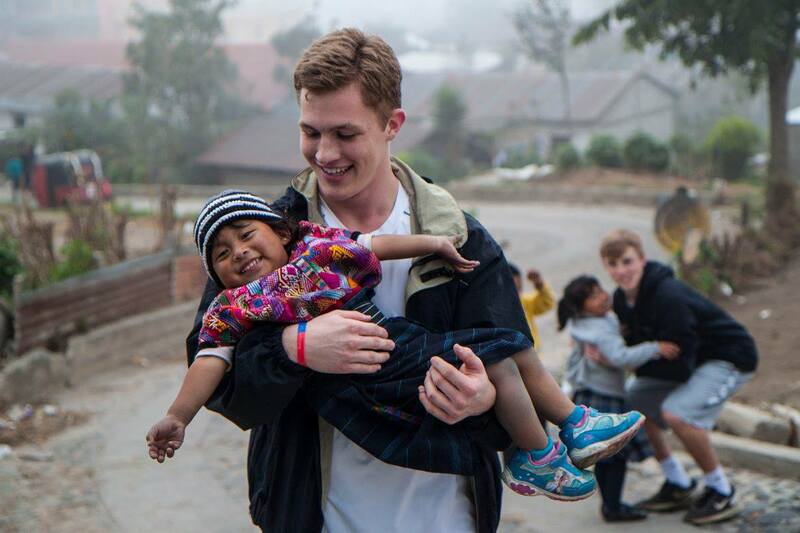 I learned so much from Xela AID and the people of San Martín,” said Delaney McNamara, CSUF student volunteer, 2015. Volunteers will have the incredible opportunity to lead projects and work side by side with community members. Includes R&R in both historical Antigua and breathtaking Lake Atitlan. Activities available during down time include volcano hiking, lounging by the pool or hot tub, shopping, zip lining or kayaking. Caption: Volunteer Donna Gottlieb teaches English at Xela AID headquarters. In March of this year, Xela AID Board Member Leon Kaplan fought for his life after a heart attack. He turned this frightening event into an educational scholarship for a hopeful young girl! Here’s how. Leon was driving his car on a day like any other when he was stricken with the attack. Without the help of that good Samaritan, Leon would not have survived. Upon leaving the hospital, Leon was determined to find and thank his anonymous hero. He drove to the intersection where the event had taken place, and posted signs asking for the person who’d saved him to contact him. After a first failed attempt, he visited the intersection again. At a home nearby, he met Ashley and Samantha, two women who’d helped the mystery person to perform CPR under intense, trying circumstances. Leon was so touched after hearing the story of his near death that he began to do some intensive investigating. 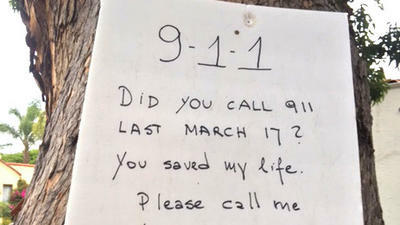 He managed to find the record of the phone number for the 911 call that saved his life. The number belonged to Susie Powell, a legal assistant from Hollywood and former English teacher. Leon and Susie met over lunch and bonded over their shared interests in educating youth. Leon sponsors a child for school through Xela AID’s Work Study Scholarship Program. He asked Susie if, as a "thank you" for her heroism, he could sponsor another child in her name. “She was thrilled by the idea and immediately agreed,” Leon recalls. Maria Socorro Gomez Mendez was thrilled, too, upon learning that she’d been sponsored, and in fact, will now get to fulfill her dream of becoming a teacher—like Susie, who is now a hero in two lives. Many children in Guatemala are in desperate need of education in order to pull themselves out of poverty and become self-reliant. Currently, in rural Guatemala, only 1 in every 10 children will make it to high school! Students in Xela AID’s programs beat the odds, with more than 80% graduating high school! Like Leon and Susie, you can help children like Maria go to school and fulfill their dreams. To sponsor a child’s education click HERE. Colleen Dodds, a Xela AID Board Member Emeritus, has been supporting Xela AID’s mission for more than two decades. She and partner Karen Edwards founded the Optometry mission program. Last winter, Colleen did a presentation focused on Xela AID’s optometry program at St. Andrew Elementary School in Ontario, Canada. This is where her daughter Darlene Kingstone teaches. Colleen spoke passionately about how people in San Martin don’t have access to sunglasses and how dangerous that can be for their vision. This is because most people in San Martín work long, arduous hours farming under the bright sun with no protection from UV rays. The young students were so moved by Colleen’s presentation that they decided to take action. In fact, the kids gathered and donated over 200 pairs of sunglasses! Colleen participated in a Xela AID volunteer service trip this summer, fitting people with reading glasses. Colleen and the optometry team also personally fitted the children’s donated sunglasses to people in need. “It was a very emotional event, as it was the first time many of the people served had ever owned a pair of sunglasses!” Colleen explains. Xela AID thanks Colleen, Darlene, and the teachers, principal and students of St. Andrew Elementary for their work and commitment to protecting the vision of children and families in San Martín. 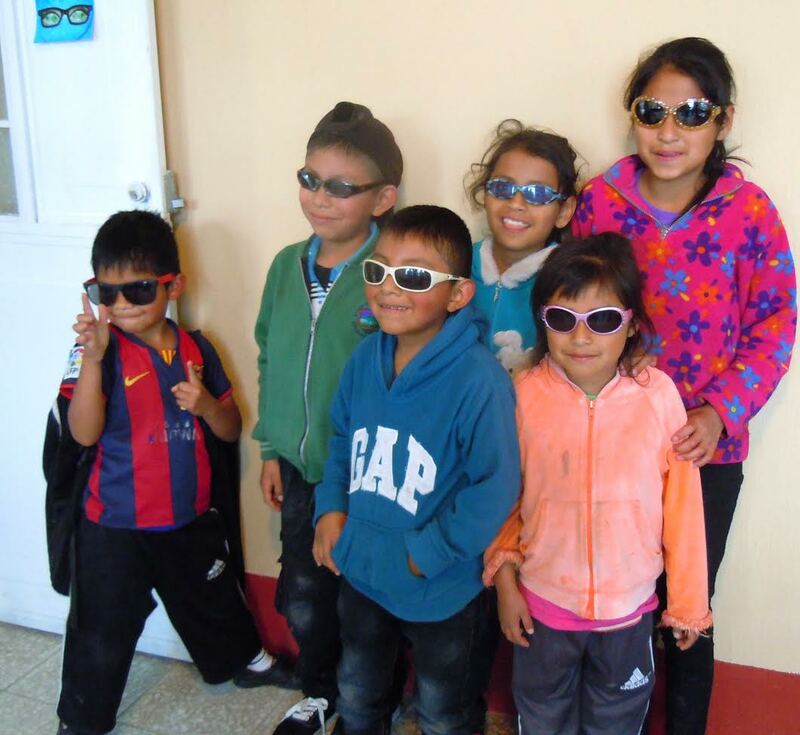 Caption: New sunglasses for young boys and girls from San Martín, Guatemala. For more photos celebrating the St. Andrew Elementary School donation click HERE. Copyright © 2016 Xela AID Partnerships For Self Reliance, All rights reserved.